The TeamViewer is one-step solution for remote access. TeamViewer is the fast, simple and friendly solution for remote access over the Internet - all applications in one single, very affordable module. More than 100,000,000 Users spread over more than 200 countries used TeamViewer. Remote control of computers over the Internet. Instantly take control over a computer anywhere on the Internet, even through firewalls. No installation required, just use it fast and secure. Training, sales and teamwork. 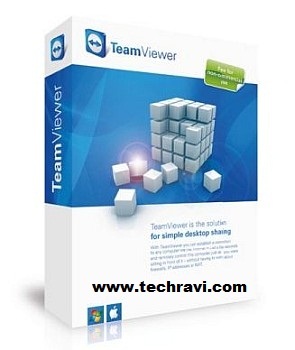 TeamViewer can also be used to present your desktop to a partner on the Internet. Show and share your software, PowerPoint presentations etc. File transfer, chat and more. Share your files, chat, switch the direction during a teamwork session, and a lot more is included in TeamViewer. You can choose either to install the sofware or just run it without installing it is nice feature of this software.